9Mobile Nigeria Internet Data Bundles List on Android PC Modem iPhone BB. Below is a complete list of all available data bundles offered by the 9Mobile network operator in Nigeria for Android, PC, Modem, Blackberry, Windows, iPhone, Ipad etc. 9Mobile, previously Etisalat, are amongst the most popular telecom operators in the Nigerian market. As far as Data and call quality is consigned, 9Mobile is among the most reliable network providers in Nigeria and it has a strong endorser base in the nation. 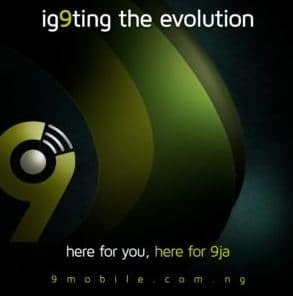 Here I’ll share with you, starting from the cheap to the pricey 9Mobile data plan, their amounts and activation codes, information allocation and validity length. All of data bundles works flawlessly on Android, iPhone, Blackberry, laptop, and windows gadgets. However, your budget is, sure this list becomes something worth keeping for a to do list. This plan comes with a data cap of 10MB, which can be used to browse the internet for twenty-four hours at just N50 price tag. Once you activate this plan, you’ll be given 10MB whenever you recharge up to 50 Naira in your account, which comes with a validity length of 24 hours. However, when you exhaust this bundles withing an hour, it will expire automatically. The 9Mobile 50MB internet data bundle is also a low bundles offer for more than mid range internet users, sites like nairaland, m.facebook.com and others with low loading page can be used with this bundles. 50MB isn’t much, but can be useful if you want to check out that very important info from a webpage for a price tag of 100 Naira. When you subscribe to this internet data bundles for 100 Naira, you will in turn be given in split 50MB which comes with a validity period of around 24*7 hours. Here is how you can subscribe for the 50MB internet data bundles. Send MI1 to 229 through SMS. When you opt for the 9Mobile 200MB weekly internet bundles, you will given 200MB of internet data bundles, which comes with a validity period of 7 days. This data bundles will take you through lite usage of data bundles across sites and web pages that aren’t data demanding. Sites like Instagram or any other photo sharing sites on this data bundles will only make the bundles get exhausted before the one week expiration time. The 200MB is still not yet for heavy internet data users. That brings us to the monthly plan. Before delving into the monthly plan, here is how you can opt for the weekly 200MB plan. You will be given 500MB when you subscribe for this bundles, validity is for 1 month, all other things remaining the same as any other bundles offered by 9Mobile. You can use this bundles on your computer, smartphone, and tablet devices. The data bundles has no restriction of usage of any kind. You can use it, during the day and at night. This kind of internet data bundles can be classified as the, “Mummy-Daddy type”, sure will do for one month. But, for teens and other youths lurking at the next, “game of thrones episode”, then something more is required to suffice for the data bundles required; that brings us to the next internet data bundles. Before, we look at the next, lets get the subscription code, for the 9Mobile 500MB data. 500MB for your 500 Naira, last for 30 days. If you exhaust the bundles prior to the expiration time, you need subscribe another. 9Mobile 1GB weekend internet data bundles offers 1GB of data for the weekend. This data bundles becomes active starting at Friday 11:59pm to Sunday 11:59pm. You are required to make a 500 Naira recharge to get this bundles. Suitable for any device with internet connection capability, PC, iPhone, Android, Tablets. The 1GB data bundles is valid for a period of 1 month, but only usable between 11:59 pm – Sunday 11:59 pm, thus, the name, Weekend plan. That all about it, for the 500Naira weekend bundles. This one will do for the average, Tom, who does mid-range downloads, from PDF files to Jpeg files, to the viral meme on Facebook, to the 15MB-20MB video clip. Sure, it will serve this kind of person for a month. But, that heavy internet user, aiming to live stream, to watching movies, to downloading 30GB worth of game; then simply read on and skip this one. 9Mobile 1.5GB bundles is valid for one month and cost 1000 Naira to activate. Works on any device, which uses a SIM with GSM internet connectivity. On PC, use your Modem. 9Mobile 3.5GB monthly internet bundles comes at a price tag of 2000 Naira. You get 3.5GB valid for 1 month. This data bundles is pretty ok for most people. You can watch at least some YouTube videos out there. Download with caution, stream with caution. And write infinitely online if you are a freelancer. Here is how to quickly opt for the 9Mobile 3.5GB Monthly internet data bundles. If the 3.5GB isn’t enough, then the 6.5GB monthly plan becomes an option. This bundles cost 3500 Naira to activate. Simply recharge up to 3500 Naira and use the subscription code below to activate the bundles. The bundles is valid for 30 days. See how to subscribe to 9Mobile 6.5GB Monthly data bundles. Some people can drain 6.5GB data bundles within minutes, have come across this kind of people, myself inclusive. That one click 7GB file download, will have them asking for an extra 500MB bundles. The 16GB 9Mobile data bundles comes to mind, but, the price though, sure!, is a turn off for most average Joe. That’s price of a bag of rice in the Nigerian market. The urge to download that 7GB file is there, but the price tag quickly resets your thought to default. For other people, the price is just like removing a drop of water from an ocean. For some, a compulsory data demanding task which leaves them with no option than to subscribe. Which ever category you belong to, here is the subscription code for 9Mobile 16GB Internet data bundles. The 9Mobile 16GB internet data bundles cost 8000 Naira. Recharge 8000 Naira airtime and use the subscription code to activate below. Not to forget, 9Mobile 16GB data is valid for 30 days. or Send MB6 to 229. 9Mobile 22GB internet data bundles comes at a price tag of 10000 Naira. Suitable for users with intent for carrying out many downloading, streaming and browsing through web pages. If the 16GB option isn’t enough the 22GB offer for 10000 Naira becomes a second option. 9Mobile 30GB quarterly internet data bundles goes for 27500 Naira. When you activate the 30GB bundles you get up to 90 days of validity period. That is you can use your 30GB with peace of mind for 3 months. Yet, this bundles may still be insufficient for some people wanting to download Call of Duty Advanced Warfare PC Game. Ah!, Can’t stop laughing!. Then the 60GB bundles is next. You can use this bundles for 6 months streaks without seamlessly. But, you get 60GB data for a price tag of 55000 Naira. At least, you can download heavy games like, Kojima’s, Metal Gear Solid, with about 30GB still remaining for other stuffs. Validity period for the 60GB bundles is for 120days. To subscribe use the code below after crediting your mobile account with 55000 Naira. The arrangement a Validity Period of 6 months (120 days) and Subscription Price is N55,000. If the 60GB bundles isn’t enough for you!, probably you have been streaming or downloading in QHD(4k viewing), like “House of Cards” series in HD, each episode 2.5GB in HD quality is zapped. You streamed 3 seasons 60GB is gone. 100GB 9Mobile internet data plan will make you get up to 6 seasons. What next!, in the first place you should have opt for the 100GB plan for 84992 Naira. Here is how to opt for 9Mobile 100GB internet data bundles for 84992 Naira valid through out a year. Here is the simple way to quickly fill up that 320GB hard drive you just bought with movies or games in no time. Simply, subscribe to the 9Mobile 120GB offer valid for a year, which cost 110000 Naira. Stream any movie you like on Netflix, Download and Play games online with peace of mind. Here is the activation code for 9Mobile 120GB internet data bundle below. or send 12M to 229 through SMS. 9Mobile Smartpak are purpose specific driven data bundles. Some for Facebook, Instagram, Stream YouTube Videos, Whatsapp and more. They are grouped into, Videopak, Socialpak and Chatpak. 9Mobile Chatpak offers users access to popular social networks like, WhatsApp, Facebook Messanger, WeChat, BBM, etc All texting applications out there in the internet. It costs 50 Naira to setup. And a 150 Naira per week alternatively. Read on for the code below. Same thing with the above, but, offers more data for more price. Also get instant access to Facebook, Twitter, BBM, Instagram, eskimi, all texting applications. It costs 300 Naira every week to setup. 9Mobile Videopak offers subscribers with 2 hours of continuous streaming online via any application on your device. It costs 400 Naira to setup and valid for only 2 hours. To subscribe to any of 9Mobile Smartpak , dial *200# and select choice 3 from the menu which pop up. Select any of the trio and continue with the activation process. If you still own a Blackberry device, here are the subscription codes for data bundles on BB you can use on 9Mobile network.